CHI is your Package Supplier of instrumentation to suit your applications. Our scope of supply: Flowmeters, Water and Solid Level meters, Water Treatment Analyzers, Variable Speed Drives, IAQ sensors, Gas Detectors, Temperature and Pressure Transmitters, and relevant accessories. 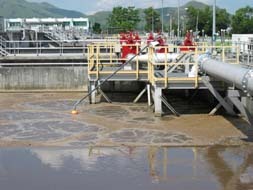 Our clients: Water Treatment Works, Waste Water Treatment Works, HVAC projects, oil refinery industry, dyeing industry, food industry, and many other industries. We are well-prepared to provide package solution to suit your application.